This is another clever place to get yourself inked. The tattoo is made under the foot- the place is rarely exposed to everyone. You can make any design, which you love to be inked with, but was afraid what others will think of it. 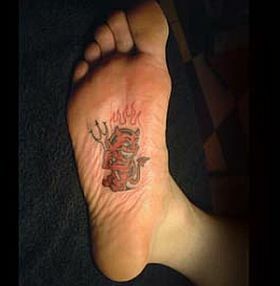 This devil is something which some might not want everyone to see, so the tattoo is made under foot.